We ADITYA & ASSOCIATES, a leading and dynamic boutique Law firm established in the year 2001 specialized in protection and enforcement of Intellectual Property Rights not only in India but in all major countries of the world. We are a mid-sized firm with a key mission of personalized legal service and commitment, promptness and transparency coupled with technological competence. We endeavor to combine the dynamics of smaller firms with that of larger firms with focused expertise. Our philosophy is to ensure objective but transparent and value added counseling, a high degree of flexibility and cost effectiveness without losing focus and personalized attention. We are professionally managed; well-equipped specialized Intellectual Property Law Firm that offers the services of richly experienced eminent professionals, dependable for prompt and reliable professional advice and recourse in India and through out the world over. 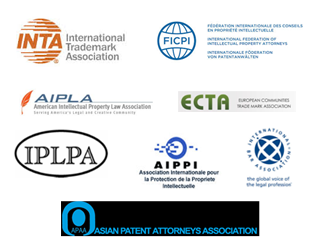 We have significant practice in the fields of Patents, Trademarks, Industrial Designs, Copyrights, Internet and Domain Name issues, registrations and prosecutions, maintenance of portfolios, annuity and renewal services, due diligence, licensing-franchising and transactions, related litigations. Technical expertise and legal experience have made us competent to deal with all aspects of Intellectual property confidently and satisfactorily. In addition to our direct handling of all these IP matters for India, we assist in filing, managing and enforcing intellectual property matters with the help of our strong network of international associates which not only allows us to meet the requirements of filing internationally, but it also enables us to utilize our associate’s knowledge of their national laws and systems. 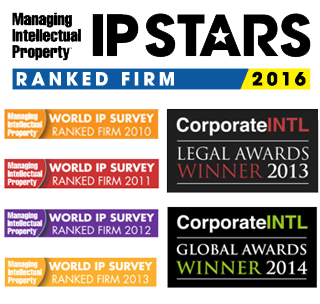 We are a forward looking and progressive firm of Intellectual Property (IP) Practice that understand, respond and tailor its services to suit the clients for all-round success in their business. Our Values are simple, our achievements noteworthy. However, before you visit this site, we strongly advise you to read the Terms, Conditions and Disclaimer of surfing of this site carefully and you are assumed to have accepted the said Terms and Conditions.